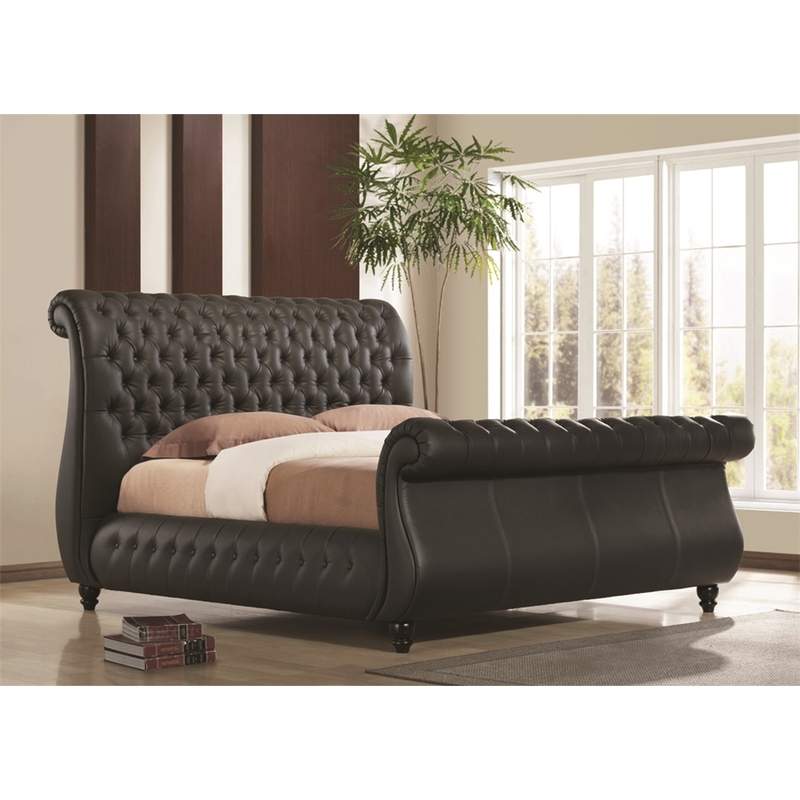 The Swan Black Real Leather bed frame is a top of the range Chesterfield sleigh style design which will be an impressive centrepiece to any modern or traditional bedroom settings. It is made from top grade genuine leather which gives it a luxurious finish. The sleigh design is complemented by the Chesterfield leather pattern which is not only on the head board and foot end but also uniquely along the side boards of the bed as well. It has a sprung slatted base for extra comfort and to prolong mattress life. The wonderfully extravagant bed frame is finished with solid wooden feet. *Due to the quality and nature of the Swan Bed Frame it is delivered by an in house manufacturer delivery which is free up to 100 miles from NG7, please contact us for delivery info outside this area. The Swan Black Real Leather Bed Frame is also available in White and in Super King size.